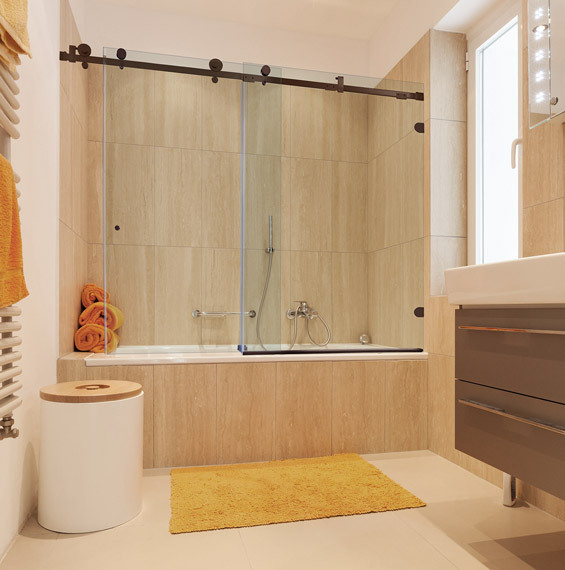 The Quadro sliding bathtub door is the perfect choice if you want an easy, affordable upgrade for your bathroom. 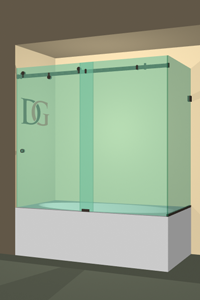 The Quadro can replace a worn out shower curtain or an older framed shower, in as little as a week! A sleek, square sliding mechanism made of premium stainless steel ensures smooth, quiet sliding that never grates or squeaks. 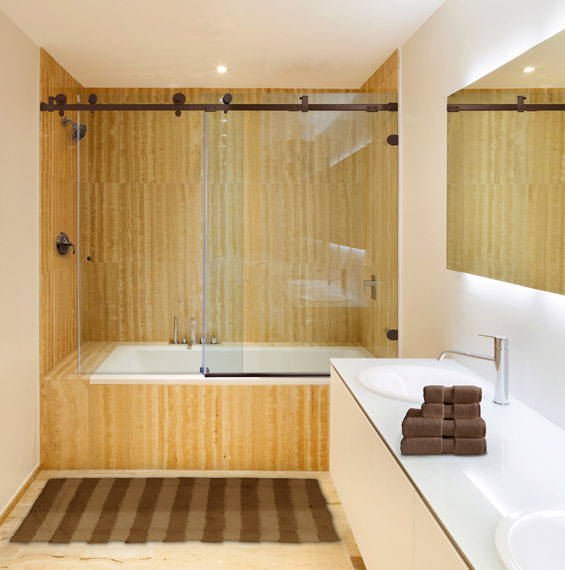 The Quadro can be installed over your existing bathtub or in new construction. 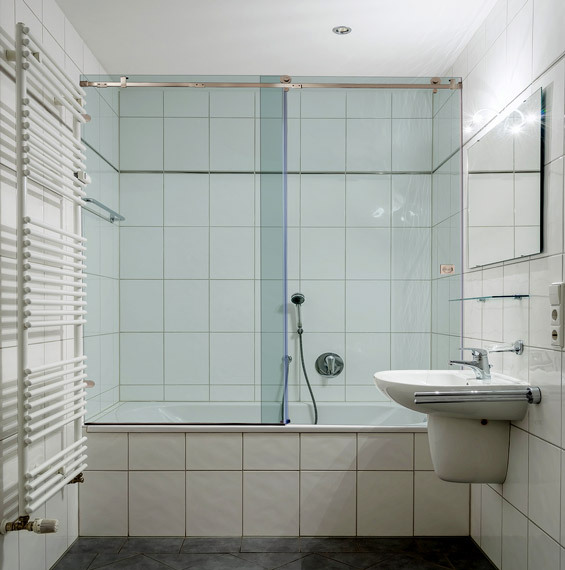 There is one fixed panel and one moving panel, which can be installed on either side, depending on your shower configuration. 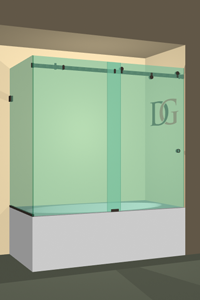 Your new Quadro shower will normally be 60" width by 72" height. Some openings may be wider than 60". Our technician will help you get the right size. 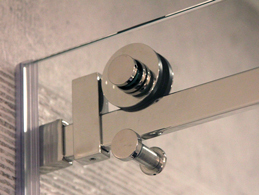 Fully customizable from the type of glass and glass thickness to the style and color of your fixtures to match your decor. 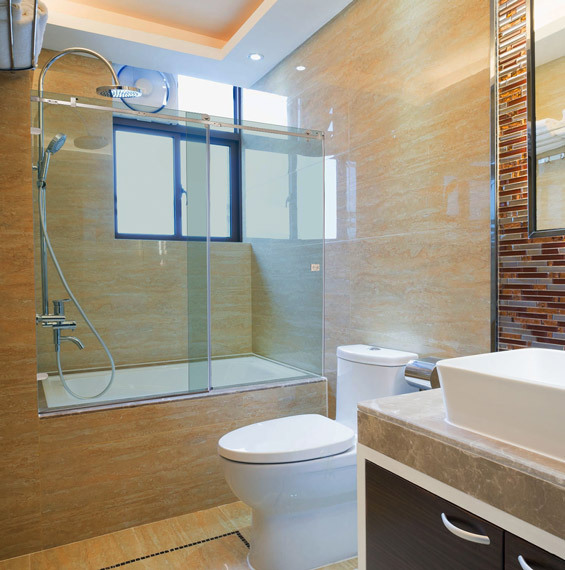 Doors can slide open to the left or right, however this will depend on where your shower door is located in relation to any obstacles, such as a cabinet or a toilet. 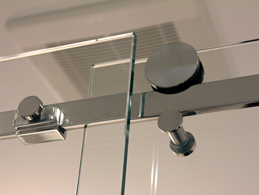 A Dulles Glass shower expert will help you with getting your sliding door configured correctly. 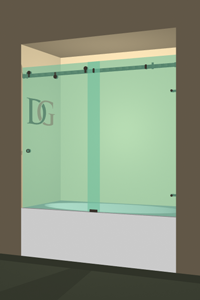 Durable, High-Quality Products - Our showers are made of the highest-quality heavy shower glass, which offers superior structural integrity for your shower enclosure. 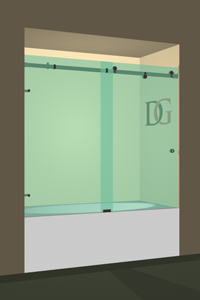 Fully Customizable - You can customize your shower just how you want it: thickness of glass, glass tints and types, hardware finishes, and glass surface protection.